So, you’ve made the conscious decision to buy an above ground pool from Intex, Doughboy, Aqua Leader, or another company, to satisfy your swimming urges. 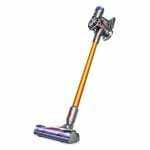 The truth is that there are a few extra factors that you’ll need to consider such as its size, type, shape, and perhaps, most importantly, getting the best possible above ground pool vacuum cleaner. Any avid swimmer among us will appreciate the importance of keeping a pool debris-free as well as balancing the right chemicals to produce a clean and safe swimming environment. 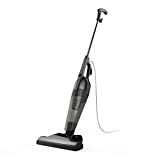 That said, we’re going to take you through the different types of home poolside vacuum cleaner for above ground pools as well as list some of the most popular brands available on the market today. Ring pools are inflatables with a prominent highly inflated ring running around the top. These are typically great for first-time above ground buyers as they are more affordable than framed pools, granting users the opportunity to see if a pool suits their lifestyle and if they can happily manage the maintenance that comes along with it. You’ll need to purchase an electric pump. They don’t cope as well with wear and tear. Framed types offer a lot more support and structure compared to ring types. The frame surrounding this pool type is usually made of high-endurance plastic, metal, and occasionally wood for more permanent fixtures. This kind also offers a variety of benefits not seen in ring pools, but these are reflected in the generally higher price. Buying an above ground pool cleaner can be a rather daunting task as there is such a wide variety currently available on the market. Nevertheless, the first thing we need to look at is the type of cleaner that best suits your swimming pool. This is possibly the most popular poolside cleaner due to its low cost. 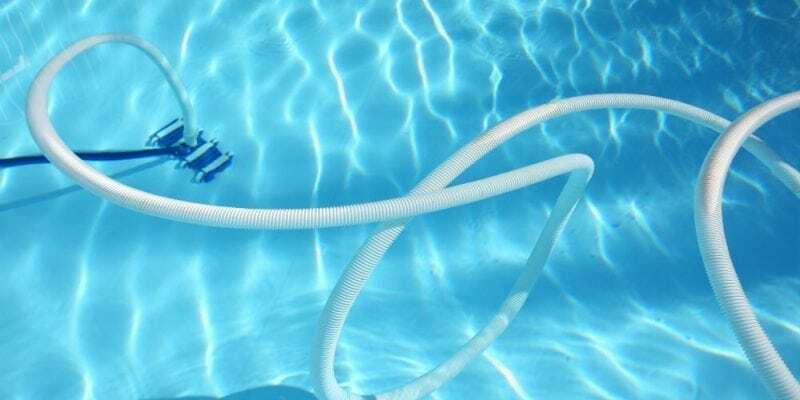 These vacuum cleaners derive their power from the filter pump that is typically included in your pool purchase, but if this isn’t the case, then you’ll need to buy an external pump. Suction side pool cleaners are great for clearing the bottom of any debris that may have settle to the bottom, which is then transferred out to the pool and into your filtration system for easy removal. 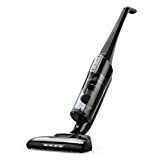 These vacuum systems are manually operated and often great choices for first-time buyers and those who don’t need to clean on a regularly basis. Pressure side pool vacuums are by far the most famous automatic cleaners. They gained their name through their method of operation, and that is using the pool’s return jets. Typically, the unit is hooked up to your water return jet with a flexible hose, and the pressure pulled from this jet is what drives the cleaner. You’ll then use an attached sweeper hose, which can be dragged along the bottom, to blast the bottom and walls with high-pressure to loosen debris. That debris is then collected in a skimmer bag that is attached to the cleaner. 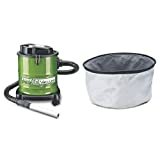 This type of cleaner is extremely handy as it not only helps clean harder-to-remove debris but also lessens the work of your filtration system since larger debris is collected in the skimmer bag, which is then simply emptied into the trash. 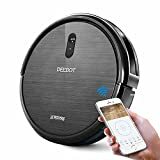 The problem is that although this is an automatic cleaner, it will still need to be overseen to ensure it doesn’t get caught and stop cleaning. You’ll also have to regularly check the skimmer bag to make sure it can still collect debris. Robotic cleaners are the ultimate piece of cleaning equipment when it comes to convenience. These cleaners have their own onboard filtration system, which can act as a secondary filter. The units are completely self-contained, which means there’s no need for any hoses to be run along your pool from any pumps or existing filter systems. They are also often fully programmable, so all you need to do is select your desired functions, leave it, and let it do its job. As such, you can go about your day without having to worry about overseeing the cleaning process. The vast amount of robotic cleaners also use a series of scrubbers, which help clean the bottom and lowest sides of the walls of your pool. The debris is then stored in the unit’s internal bag after the cleaning process. Apparently, these cleaners are commonly the most expensive in the market. 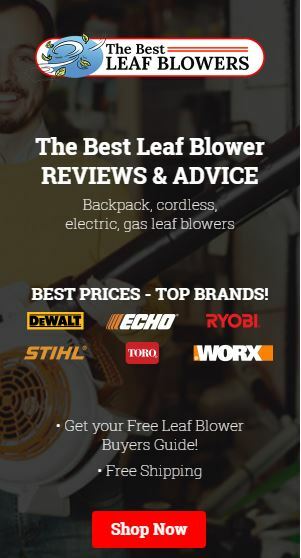 With so many product brands and vac models currently available, we figured we would give you a hand and create a shortlist of some of the most reliable and trustworthy companies that provide both quality products and services. We’ve selected these companies since they have been in the business for a long time and their products come with reasonable warranties. Zodiac Pool Systems, Inc. is a USA-based, BBB-accredited company that is geared towards developing innovative and user-friendly pool and spa products for residential properties. They distribute several products under the brand names iAqualink, Jandy, Polaris, and Zodiac Ranger. However, only the last two are focused on cleaners and accessories. They have pressure-type cleaners that include their Polaris Sweep Series or the Polaris 65 as well as the very appealing Turbo Turtle model. The Polaris Brand also offers robotic pool cleaners while the Zodiac Ranger automatic pool brand focuses on suction-type cleaners. Easily one of the most well-established giants in the pool industry, Hayward Aqua has been in the business for over 80 years with a heavy focus on automatic above ground pool cleaners. They have a variety of technologically advanced commercial and residential pool cleaners as well as accessories and equipment. Amongst their most sought-after automatic pool cleaners are those included in their Wanda the Whale Series since they come in a very attractive design and small size as well as because of their affordable price and patented SmartDrive steering system. They also offer sand filter cleaners. Aqua Products is another company that is based in the USA and has been around since 1982. It is claimed that they are the first company to produce robotic pool cleaners, which they now call Aquabots. They have Aquabot pool rover models that can be used for residential or commercial properties. The great thing about their products is that they are not just focused on keeping the pool clean but also ensures that it remains “healthy” for the user. Aquabot cleaners such as their Aquabot Pool Rover S2, Bravo, Fury, and Junior Series, as they say, are at the forefront of robotic pool cleaning, offering everything from light scrub and debris micron collection to patented jet drive technology and aqua smart technology. They also offer a pool rover junior robotic for smaller pools. You can check out their Aqua EZ-Vac automatic pool cleaner also. These advanced systems are great for saving you heaps of time when it comes to maintenance. As opposed to the first three manufacturers we discussed above, Kreepy Krauly is a company based in Australia. It is a family-owned business that has been in the industry for more than four decades. They produce various models of cleaners to match the shape, the profile of the pool’s floor, the material used in the construction, and the amount of leaf or debris typically present. Above ground pools are a great way to cool down and relax during those summer months but require regular maintenance for a safe and fun swimming experience. To get the best clean possible, it’s essential that you match your pool with the best above ground vacuum cleaner available. You’ll need to consider the size and shape of your pool as well as the capacity of your existing pump and filtration system. The price of replacing filters should be taken into consideration also. 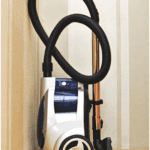 First-time buyers may be more inclined to purchase suction side cleaners due to their lower initial cost and ease of use, but for those looking to save a bit more time as they don’t want to be stuck cleaning, you may want to consider a robotic cleaner. Be sure to shop the 2018 models at the seasons lowest prices.